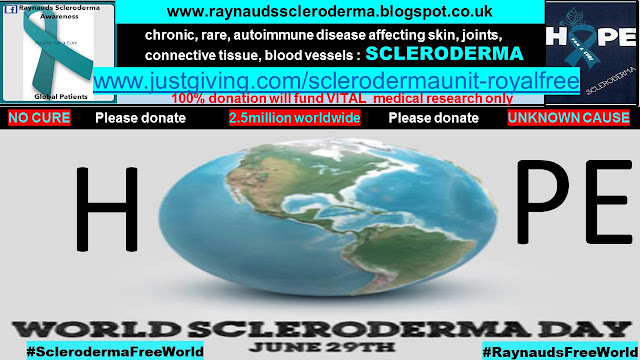 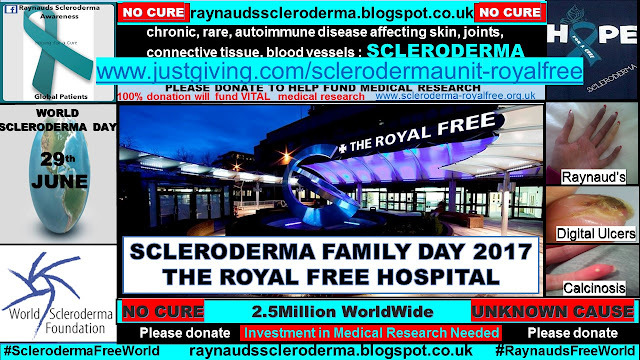 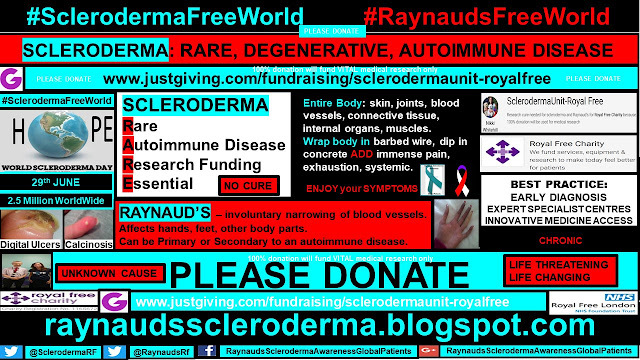 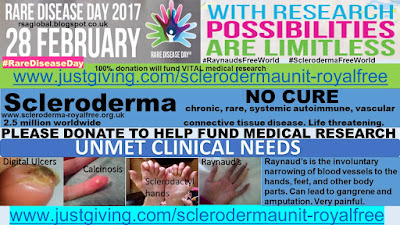 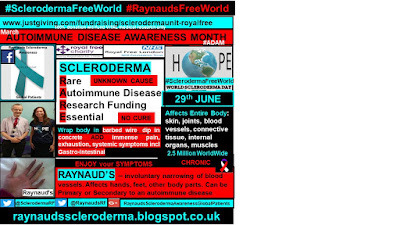 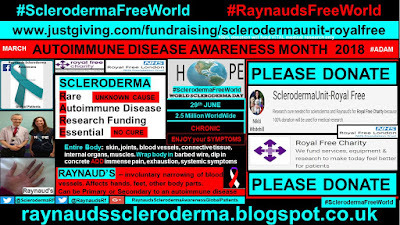 Raynauds Scleroderma Global Patients: Scleroderma, Raynaud's Family Day 2017, The Royal Free Hospital, London, UK. 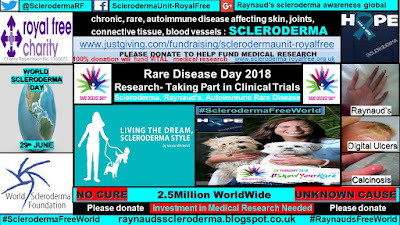 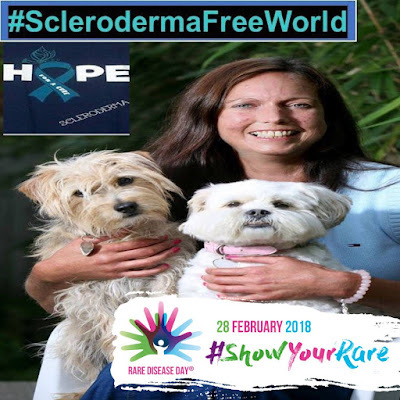 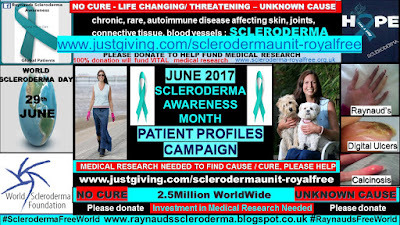 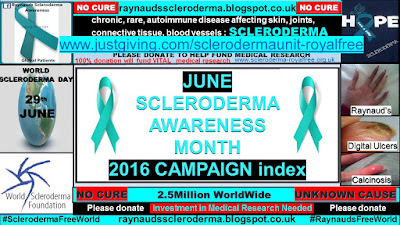 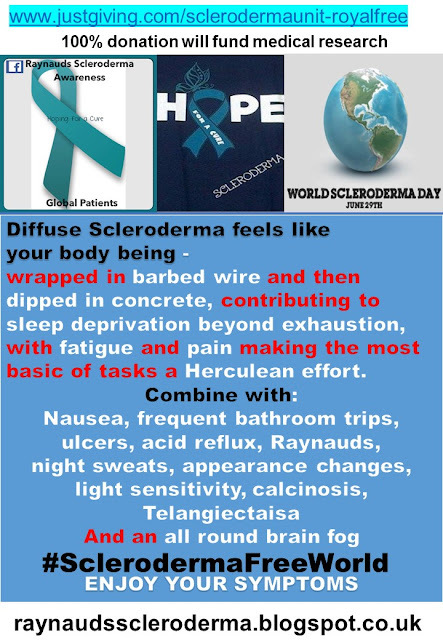 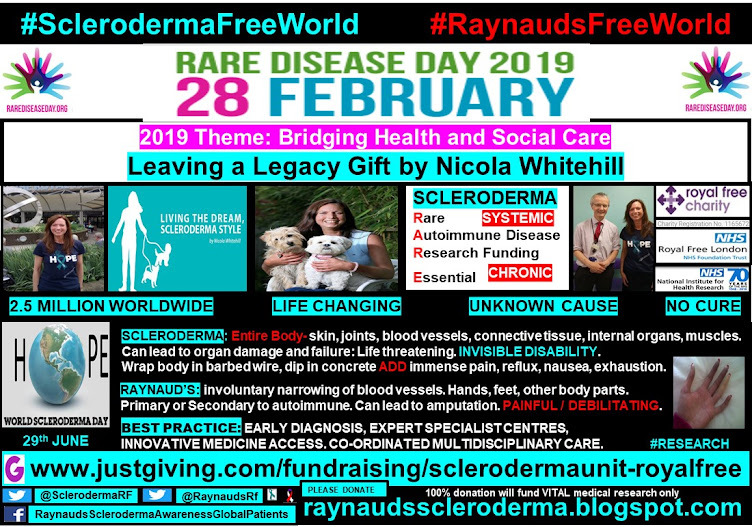 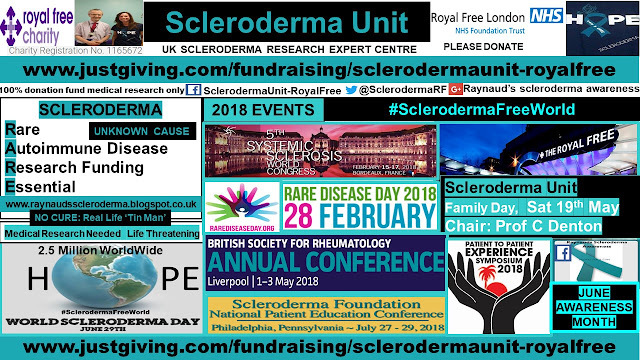 Scleroderma, Raynaud's Family Day 2017, The Royal Free Hospital, London, UK. 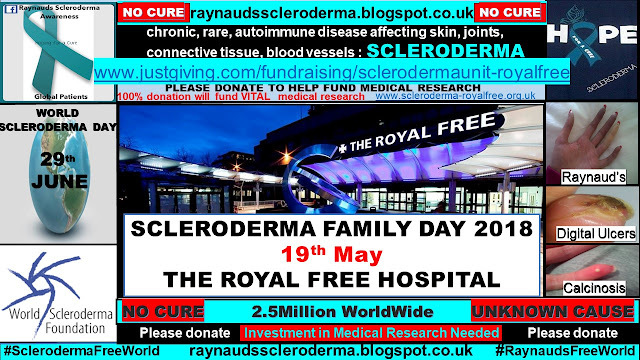 Sat 13th May 2017 saw the annual 'Scleroderma family day' being held in the atrium at the Royal Free Hospital, London. 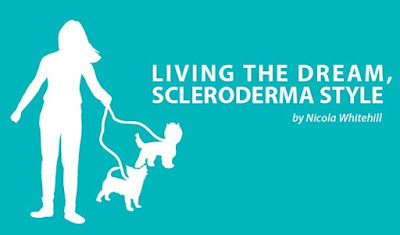 The annual family day is devoted to illuminating and helping ease the scleroderma patients’ experience. 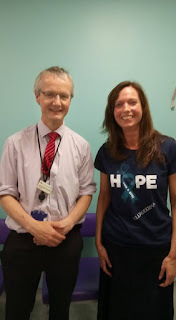 It is with great thanks to Prof Chris Denton and his medical colleagues for giving up their time and expertise for this day. 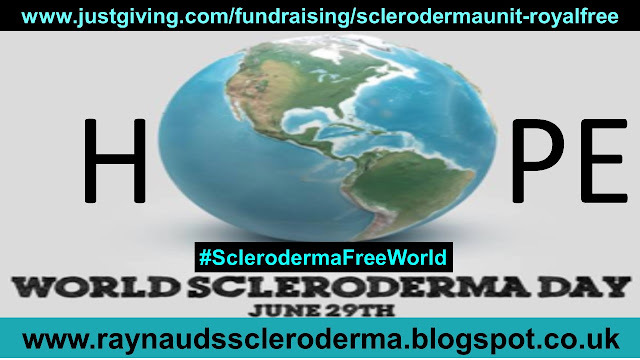 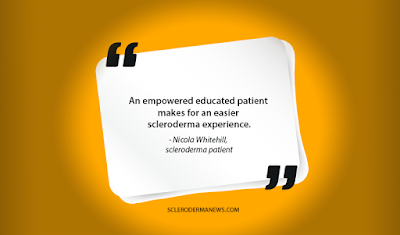 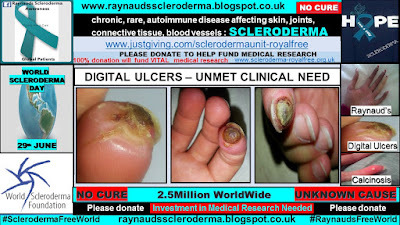 The event is free to attend, accessible, and, open to anyone with an interest in scleroderma. 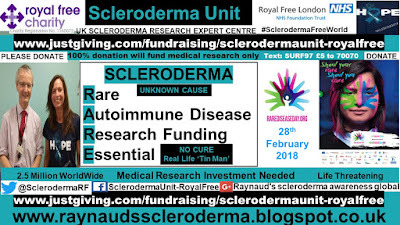 11.10 – 11.30 Factor XIII Dr Anna Gill. 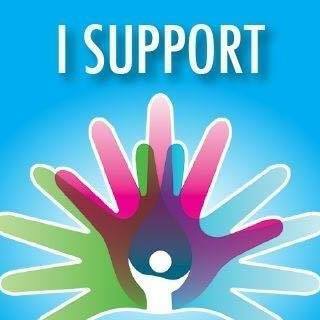 Throughout the day, different discussion groups / demonstrations are held. 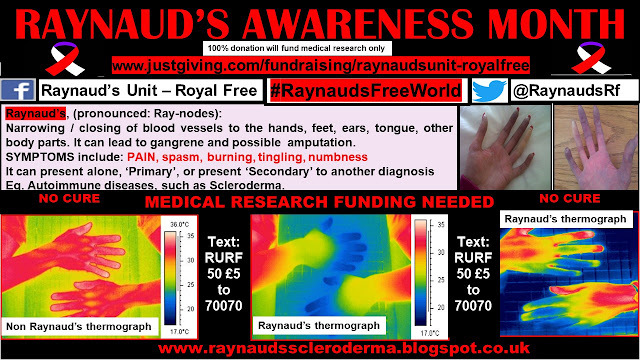 Sadly, my tin man body kept me under house arrest again this year, and I was not able to make the travel.